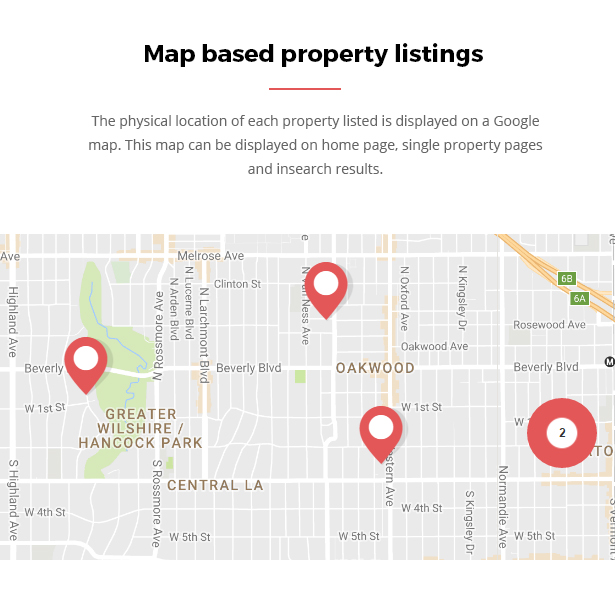 Manage your real estate listings and agents with our map based real estate theme. ‘Graha’ is ideal for single brokers as well as real estate companies with multiple agents. Choose from various homepage templates to set up your site quick and effectively. 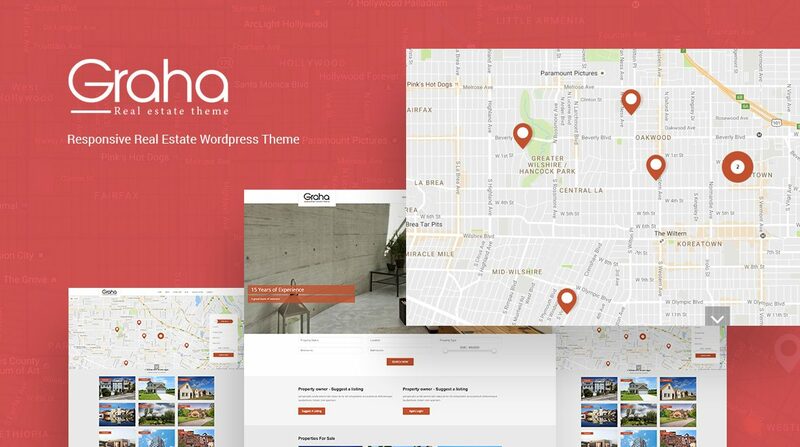 Graha is a google map based bootstrap premium WordPress real estate theme. Each property you add will be listed on a map based its latitudes and longitudes. These maps will be visible in search listings, home and single property pages. 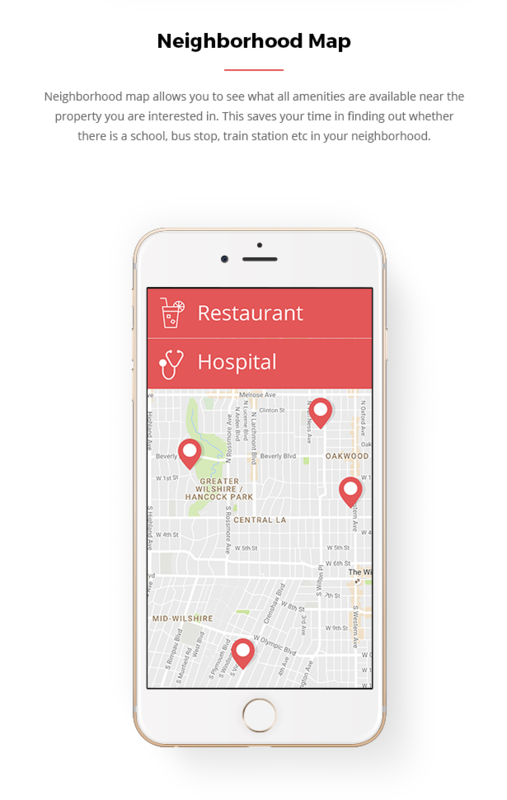 This gives the users a better experience in finding properties near to their desired location. The user can directly select the property from the map and view basic details or send an inquiry. He can also go to the details page by just clicking a button. If you want to implement a slider instead, that too comes with this real estate WordPress theme. Our real estate WordPress theme is developed to provide an optimum viewing experience on devices of all screen sizes. That means the contents of your website will adjust itself to the size of the screen on which it is viewed, making it super easy to browse and use the website on a smartphone or a tablet. Using responsive design it is now easy to use your website on any devices as easy as it is on a PC. Graha real estate WordPress theme comes with unlimited color schemes and 12 backgrounds. Create your own style. This is exclusively developed for ‘Graha’. While deciding a property to buy or lease won’t a mom be interested in knowing the nearest school to send her children, won’t an employee want to know the nearest bus stop, won’t a family want to know the nearest park? With ‘Graha’ responsive real estate wordpress theme all this is possible. In each listing a neighborhood map will be displayed showing a number of pre-defined nearby places. This will help the visitors to know in advance if the location is apt for them. 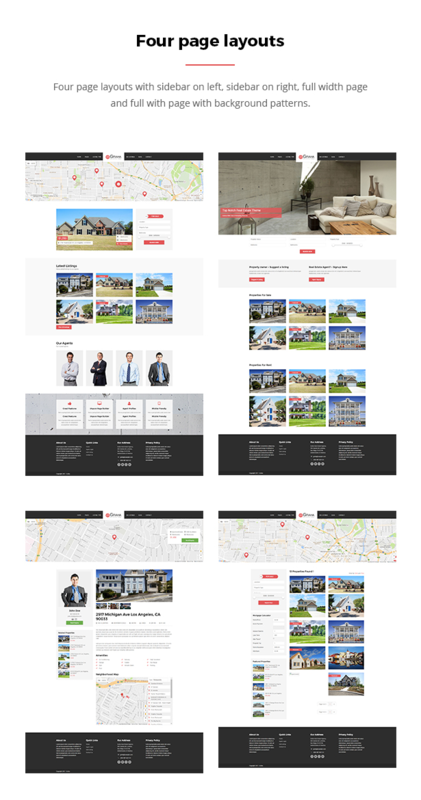 Graha real estate WordPress theme allows you to list any number of properties along with all their images, video, text and 360 degree photographs. You can list them under unlimited number of categories like apartment, villa etc as well. Graha real estate WordPress theme comes with two menu layouts; logo center and logo left, and you can customize it with any background color and font color giving you unlimited styles for your menus. In addition to having ‘multiple agents’ feature our real estate WordPress theme display a profile page for each agent. The profile page will show the agent’s contact details as well as all the properties he is in charge of. This is most helpful when you need to find listings under a particular agent. The search option developed for our ‘Responsive real estate WordPress theme’ is very simple and user-friendly. The search results will display map based results in addition to the regular listings. You can select a suitable property either from the map or from the results. Do you blog? Do you plan to write articles about real estate industry and publish them in your website? That’s why we provide a built in blog with our responsive WordPress theme. You and your co-authors can publish articles, videos, downloadable documents and images using this blog section. Can I display multiple images of a property? Sure you can. 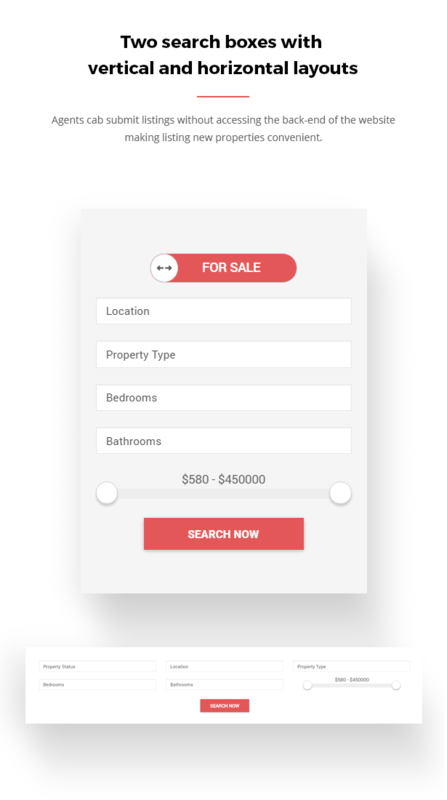 Using our bootstrap real estate theme you can display any number of images of a property whether it is a bedroom, bathroom, living area or anything. Want to create a list of amenities that can be added for each listing without typing them again and again? Want to display a well-structured and beautiful list of amenities? ‘Graha’ enables the easy addition of amenities to each of your listings. Do you want to show videos for each property listed? 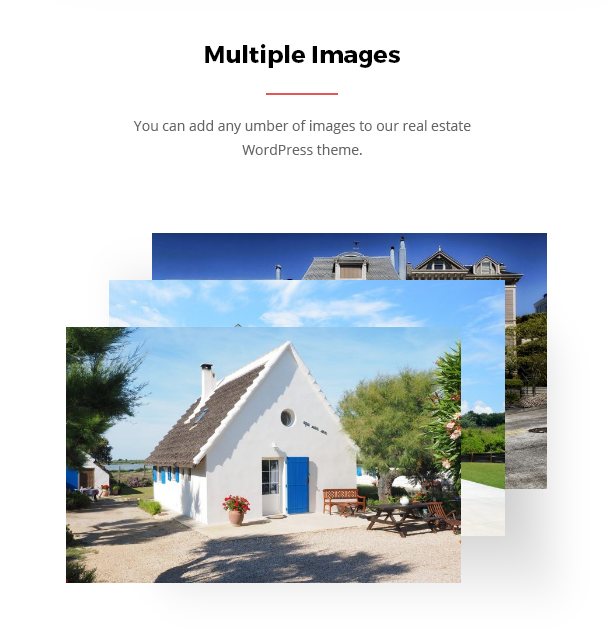 You can show, not just one but many, videos using our awesome bootstrap real estate WordPress theme. 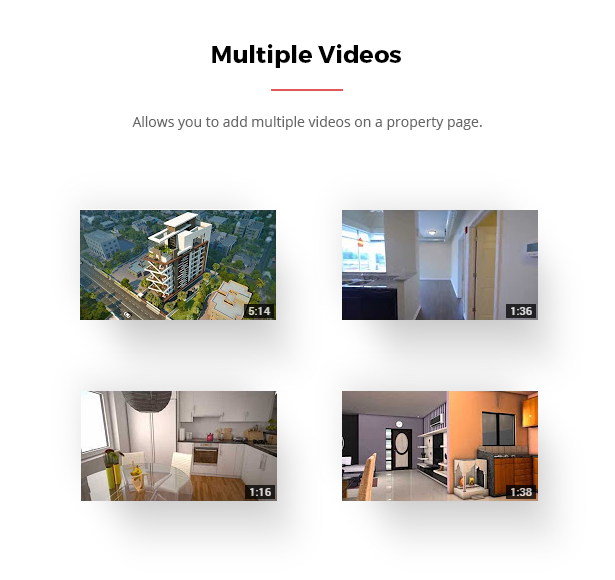 Each property page has a separate section to display the videos you want. Each of these videos can be easily added through our backend. 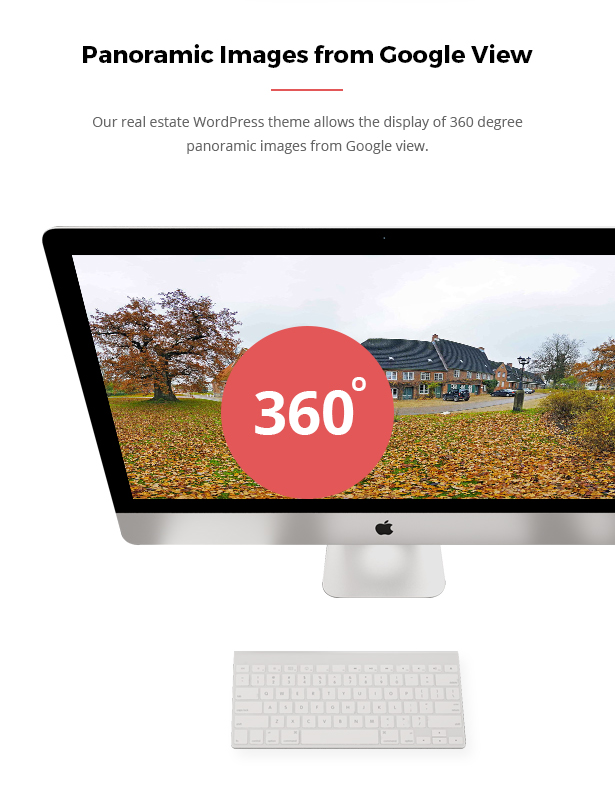 Want to display 360 degree images of your properties? With ‘Graha’ you can do that as well. You can easily upload spherical panoramic images for each property using google maps ‘View’. 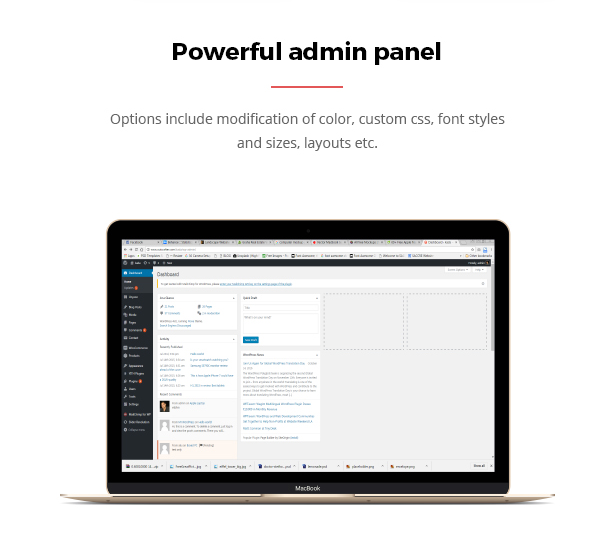 ‘Graha’ offers a lot of customization through theme options panel. It allows customization of layout, contact page, Blog, Home page, logo, favicon, google analytics code, testimonials, slider, menu etc. It requires no coding knowledge or expertise to customize the theme using our theme options panel. 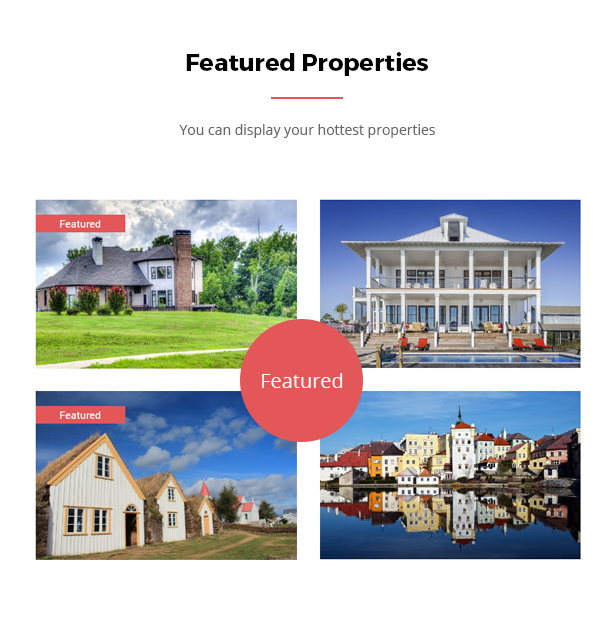 Display your hot properties in home page and inner pages. The home page, footer and all sidebars are widgetised. That means you can drag and drop any available widgets to these areas and thus simply customize pages. Our real estate WordPress theme works well with all the main browsers. It is supported by Firefox, Safari, Opera, Chrome and IE9+. And yes ofcourse it will look great on your smart phone and tablet too. 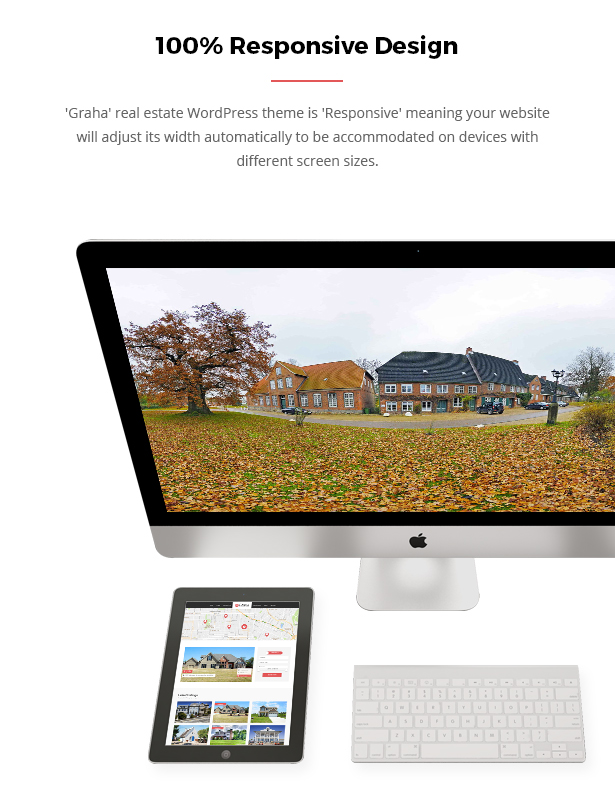 Graha real estate wordpress theme is coded to meet W3C standards. You can use SEO plugins like ‘All in one SEO’ or ‘Wordpress SEO Plugin’ by Yoast to improve the rankings in search engines. In the theme options panel there is a field exclusively for adding Google Analytics code. All you have to do is paste the analytics code and save.